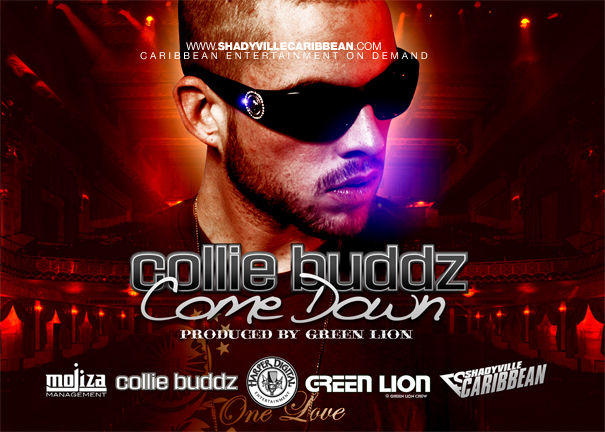 Bermudian artist Collie Buddz has released a new song today – “Come Down”. As typical in a vast majority of his music, the reggae singer “biggs up” the island through the song, with Bermuda getting multiple mentions. One of the most successful artists Bermuda has ever produced, the singer whose real name is Colin Harper, was signed to Sony Records and went on to perform all over the world including: Austria, Barbados, Belgium, Belize, Britain, Canada, Cayman Islands, Costa Rica, Dubai, England, Germany, Guam, Guyana, Italy, Jamaica, Finland, France, Japan, Italy, Netherlands, Poland, Portugal, Sweden, St. Croix, Tortola, Trinidad, Qatar, USA and even the tiny Pacific nation of Vanuatu. The track reminds me of some song by another composer which I very much enjoyed listening to , can’t quite recall which :0 does anyone happens to know which track I am referring to?